You have your hedgehog pet picked out. Now, you have to get your hedgehog’s new home ready for him. You can’t just bring your hedgehog pet home and stick him in a box. He is a very peculiar creature who needs some special items to make his life fun and enjoyable. 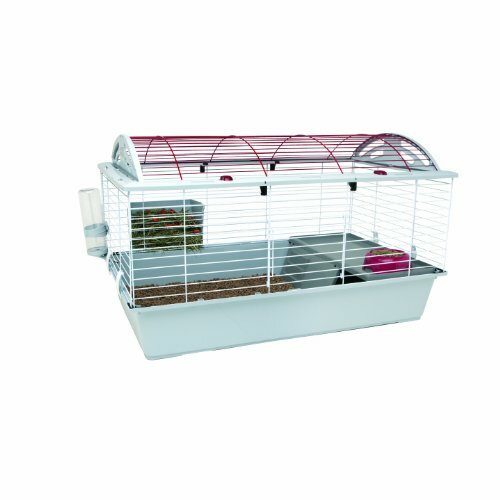 The exact size of the cage you need for your hedgehog pet depends on the type of hedgehog you purchase. For an African pygmy hedgehog pet, which is one of the smallest species, you need a cage that is at least four-square feet. A larger hedgehog pet will need more room. Another choice you have to make is the type of cage. Generally, you have to choose between a metal cage, a glass cage or a plastic cage. A metal cage really isn’t a good option unless you plan to keep your home at least 72 degrees Fahrenheit. The wide gaps between the metal allow the heat of the cage to escape. This is why plastic or glass, even if it has breather holes, is an ideal choice. Wild hedgehogs are diggers by nature. They dig under grass, gardens, hedges, roots, and underbrush to try to find food. Because this is a natural behavior, you will have to provide your hedgehog pet with a substrate that enables them to dig. While you probably don’t want to bring cages of dirt into your home, there are some other options. Recycled bedding, which is often made from recycled newspaper, is ideal for a hedgehog pet because it naturally gives as he digs. Aspen bedding is also a good option; however, you must stay away from cedar shaving and pine shavings because those two choices contain oils that can irritate your hedgehog’s respiratory system. Another good option is pelletized bedding, which moves easily as your hedgehog pet digs. At a minimum, your hedgehog pet needs a heat source that can keep the ambient temperature in the cage between 72 and 80 degrees Fahrenheit. Your hedgehog pet also needs a food dish and a water bottle that hangs from the cage. You will have to buy him food. There are some hedgehog dry foods on the market, but dry cat food will work for your hedgehog pet and is often much more inexpensive. No matter what type of dry food you feed your hedgehogs as pets, you will have to supplement its diet with insects, mice, fruits, and vegetables to keep your hedgehog pet healthy. A hedgehog pet that is inactive can become obese, and he will become bored. To keep your hedgehog pet active and happy, he needs some things to entertain him. An exercise wheel is one good option. You can also give him small cat toys, such as balls with bells, to keep him happy.